Hi everyone and happy Sunday. I hope you're all having a great weekend. So, something I briefly blogged about in the past is wanting to minimize my life and declutter our house. 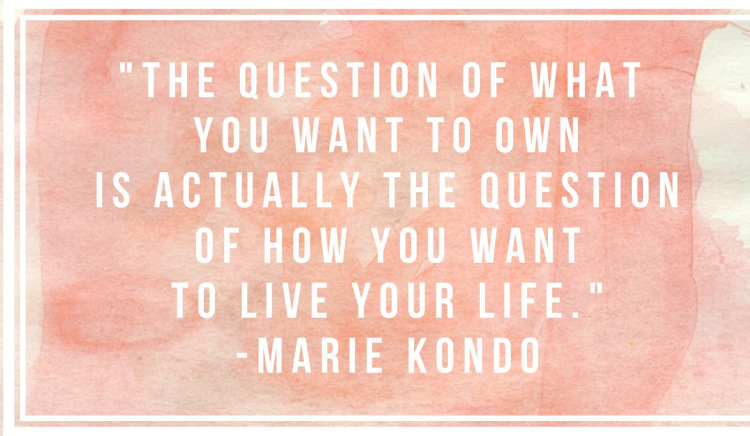 I recently listened to the audio book of "The life changing magic of tidying up" by Marie Kondo, and I swear it changed my life. 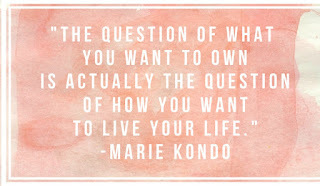 I'm going to be doing a little series on here about the KonMari method of purging, decluttering and organizing your life. I'll be writing more about that later, but today I wanted to talk about beauty subscription boxes. Kind of a random topic, but I have been avoiding these boxes for years, and now that I'm in the process of decluttering, I thought it would be a good time to explain why. So, I'm sure most of you know what a beauty box subscription is (there are a ton of them out there), but for those who don't, its a box of beauty samples that arrive to your house every month for a monthly fee. Some of them have full sized products, some come with make-up bags, etc. I don't want to pay for products that I might not like. I'm the kind of person who extensively researches a product before I buy it. I would rather buy a full sized product that I love than get a bunch of samples of stuff that I might "just kind of" like. I recently had a friend ask me if I subscribed to a certain beauty subscription because she knows I love make-up. You can love make-up without needed samples of it sent to your door every month. Its adding to clutter. Do all of you really use every single product in those boxes? If not, do you throw away ones you don't like? Also, what do you do with those make-up bags? No one needs that many make-up bags, and I know mine would just be laying around collecting dust. I bet 90% of you still have bags full of unused samples that you didn't like, but don't want to throw away. Come on, admit it- how many items in each box do you actually like and use all of? I'm particular about colors. I have REALLY fair skin and I always need the lightest shade of foundation. I also only like certain colors of eye shadow, and I hate red lipstick on myself- so I highly doubt I would enjoy being surprised with random products every month. I see pictures of beauty boxes that people post on Facebook and I'm usually underwhelmed, and 99% of the time I think to myself how the colors featured would look terrible on me. I've committed to using up current products before buying new ones, therefore reducing the clutter in my make-up box and bathroom. Even before I started using the KonMari method, I decided that I was going to use up the make-up that I have now before I purchase anything else. I went through and got rid of every item of make-up that was expired, or that I didn't use and wasn't planning on using. The next make-up that I purchase will most likely be my wedding make-up later this summer. I remember being a kid and going to the store with my mom to get surprise bags of hair and make-up items. It was always fun to see what we would get, but 99% of the time we would just laugh at the items and never use them. The fun was not knowing what would be in the bag- but did it enrich our lives in any way to buy items that we wont use? I had a "junk" drawer in the bathroom at mom's house and it was always FULL of items that I would never use. Random hair ties, mini nail-polishes, tiny purfume samples, etc. Instead of paying for samples, or paying for the "fun" of being surprised, wouldn't you rather just buy something that you know you will love and use?